Deck awnings in NY are the perfect shading solution that offers both functionalities and improve the appearance of a home or business settings. Buildings with decks can use awnings for various purposes including keeping the deck cooler and screen out harmful ultraviolet rays. 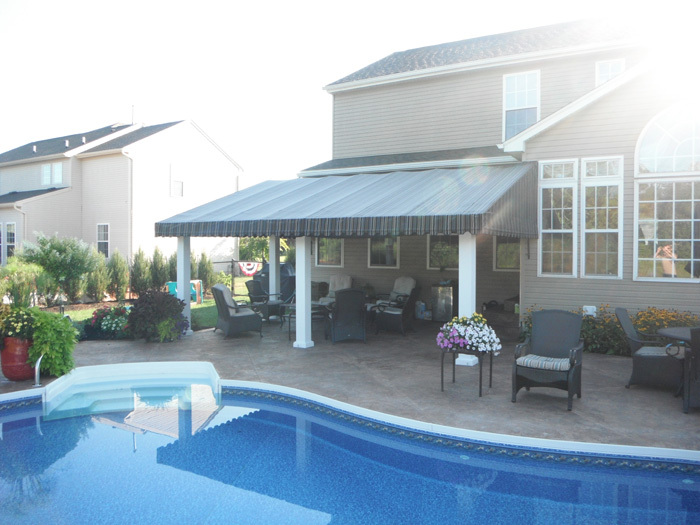 Custom Covers & Canvas is the leading manufacturer and installer of deck awnings in NY, providing different types of awnings design and style to fit any requirement. At Custom Covers & Canvas, we use highly durable and environmentally friendly materials to manufacture deck awning fabric. We use Sunbrella Awning & Marine, Aqualon and Advantage MVP 18 for manufacturing shading fabric; however, we can work with others materials as well when required to. With a highly trained and experienced workforce, we assure that every step of the process from designing to developing is done following industry standards. 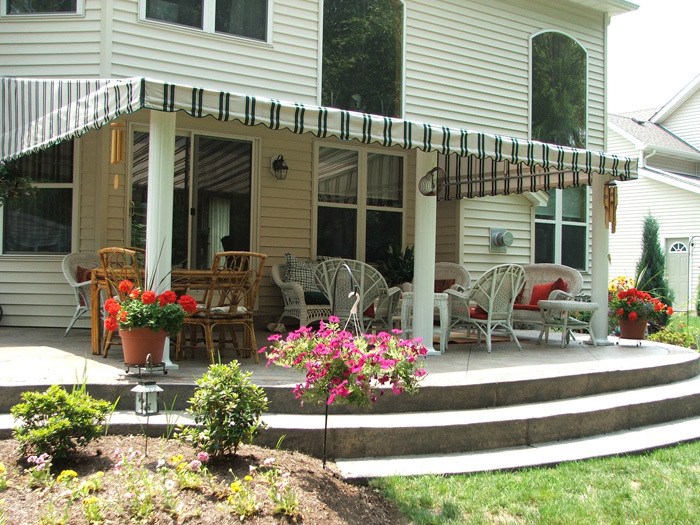 Our deck awnings are meant to last for a long time and provide value for money. We design and manufacture deck awnings with the end user in mind. Our deck awnings can fit multiple functional roles. These awnings provide shade and shelter to the deck area of any establishment whether residential or commercial. It provides comfortable sitting area during any unfavorable weather condition like scorching heat or rain. They can also protect your outdoor furniture and indoors furniture as well by preventing heart from reaching them through windows and doors. We have a diverse selection of deck awnings to fit any structure and to meet any budget. We can also accommodate any deck awning requirement and custom manufacture it to your exact specification.